Any returns must be within 14 days of original purchase from Vape Dragons. Items that are unopened and/or defective (from the manufacturer) can be exchanged or refunded. Devices, E-Liquids, liquids of any kind, opened cartridges, drip tips, any replacement glass, atomizers, tanks, and rechargeable batteries. If in event a non-defective item is opened and/or used under any circumstances we will not accept it back and a refund will not be processed. 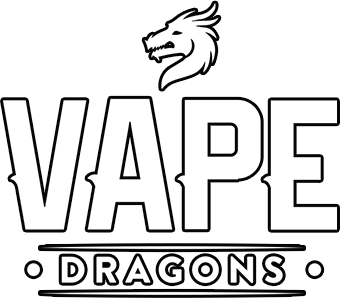 Unfortunately, if you need to request a refund, exchange, or a replacement, please our contact customer service at info@vapedragons.com. When you contact customer service, please provide your Order ID, Full Name, phone number, and the reason for your return. If your return/exchange is approved, a customer service representative will instruct you on returning your items. When your items arrive at our facility, we will ship your replacement. If you need to request a cancellation on your order, you must use our “Contact Us” page located at the bottom of web page or submit a ticket from the “My Account” page. If you are to request a cancellation and your order has shipped, it cannot be cancelled. In the event that your package has been shipped and you wish to cancel your order, please contact us immediately. Dead on arrival items, missing items, & wrong items. Dead on arrival items, missing items, and wrong items are to be reported to us within 48 hours from the time of delivery. Please be absolutely sure you have inspected your items upon receiving them. It is the buyers responsibility to check within 48 hours and notify us of the problem. Cosmetic issues, discolored items, and minor scratches are considered normal wear and tear and are not covered by warranty. Our warranty excludes damage coverage on the following: accidental damage, disassembly of the device, customized modifications of the device, or user-error. There is no warranty on devices, cartomizers, atomizers, tanks, Rebuild-able Dripping Atomizers(RDA), Rebuild-able Tank Atomizers(RTA), coils, drip tips, disposables, or any similar product unless notified it was DOA within 48 hours of receiving it. Vape Dragons does not guarantee compatibility between our products. Please research the product you are ordering or please contact us before placing your order. Vape Dragons does not accept returns due to incompatibility between products. Refunds may be issued to the back to the original payment method (Credit or Debits cards) or as store credit. Vape Dragons does not hold responsibility for refunds to a Prepaid Card in the event the cardholder no longer has possession of it. If it is our fault, you will be credited for the products and we will reship it at our expense. 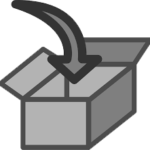 If the customer refused the package, you will be charged a restocking fee.